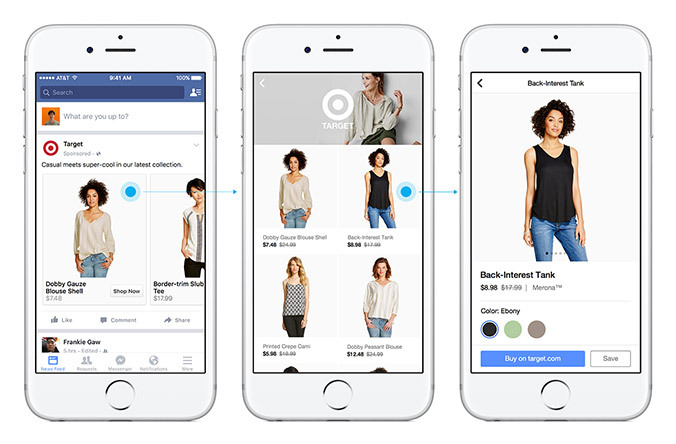 Back in October 2015, Facebook announced it was testing a shiny new ad unit called Canvas ads. Those tests must have gone well, because Facebook Canvas ads are now being rolled out to the ad accounts of all of us mere mortals! In this post, I’ll share my tips for getting the best out of Canvas ads, along with instructions on how to set them up. 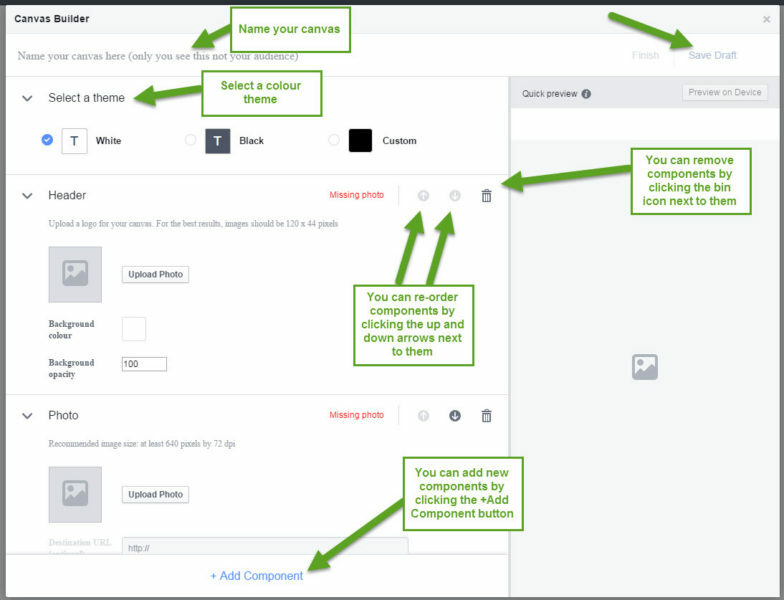 What are Facebook Canvas ads? Facebook’s Canvas ads are a new full-screen mobile ad format, on which the user can scroll left, right, up or down, and tilt to pan images. They can also contain any combination of video, images, products, text, and call-to-action button links. 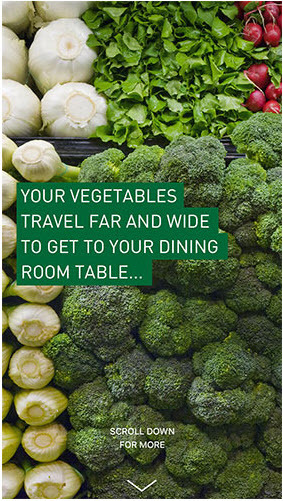 Screen shots of these ads don’t really do them justice, as the best thing about them is how the user can scroll through them both up and down and left and right, discovering images, videos, products and text. Here’s one example anyway, but I’d recommend visiting this link and viewing the video example Facebook have given. Why have Facebook created Canvas ads? Canvas ads were born out of Facebook’s desire to provide an ad format that provides an immersive and seamless experience within the Facebook app itself, rather than having to simply pass them onto the advertiser’s website like classic ad formats tend to do. Canvas ads load ten times faster than the standard mobile web, and take a step in the direction of making ads even more ‘native’ for audiences, ultimately making it easier and more convenient for them to discover new brands and products. 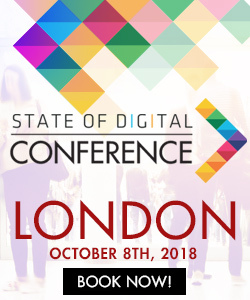 When should Canvas ads be used? 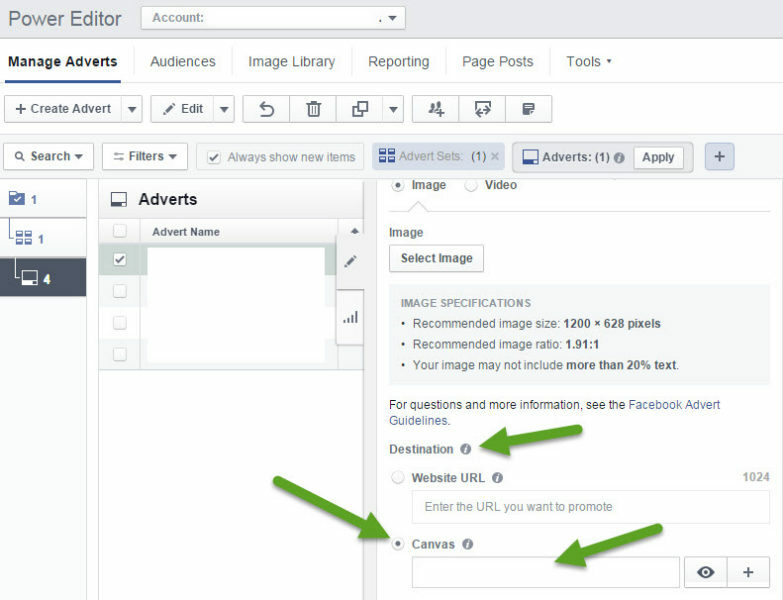 Canvas ads can be used for both Facebook clicks to website, and website conversion campaigns. As they’re highly visual and engaging, they are also great for branding or awareness focussed campaigns. For this type of objective, you may want to choose to pay based on impressions (CPM, rather than CPC). If you have a large audience you could even choose to buy ad space based on reach and frequency using an insertion order, so that you can focus on reaching your particular audience. In a branding campaign, you could use the format to tell your brand story, whereas in a direct response situation, you could use them to display products alongside brand messaging. Once you know what kind of objective you want to run ads for, you should pan the components you want to include in your Canvas, so that you can then prepare your images and ad text. You can use any of the components in any order, so the possibilities are endless! The components below are available for clicks to website and website conversion campaigns. The header features at the top of the screen at all times. The image size is really small, and it only takes up part of the width of the screen, which means you can see the background. You can customise the background colour but it made the ad look a bit unprofessional in my opinion, so I chose not to include a header. You can use the full screen image component up to 20 times in any canvas ad. There are two options; a standard photo, or tilt to pan photo which kind of pans around the photo depending on how the user moves their phone ( a bit like when you set an image as your iPhone background!). The image will take up the full width of the screen and should be at least 1,080px wide and 1,920px high. The file should be a .png or .jpg. 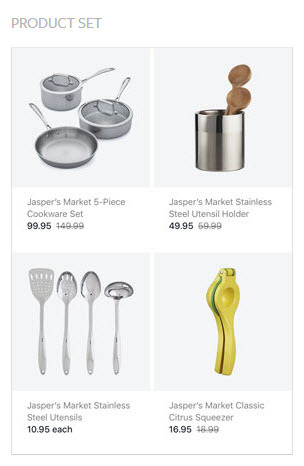 If you choose the tap to expand or tilt to pan options, no destination URL section is available, so the user can only view the image within the ad, however if you use the default setting, you’ll have the opportunity to add a destination URL to the image so when the user taps the image they’ll be take to your website. 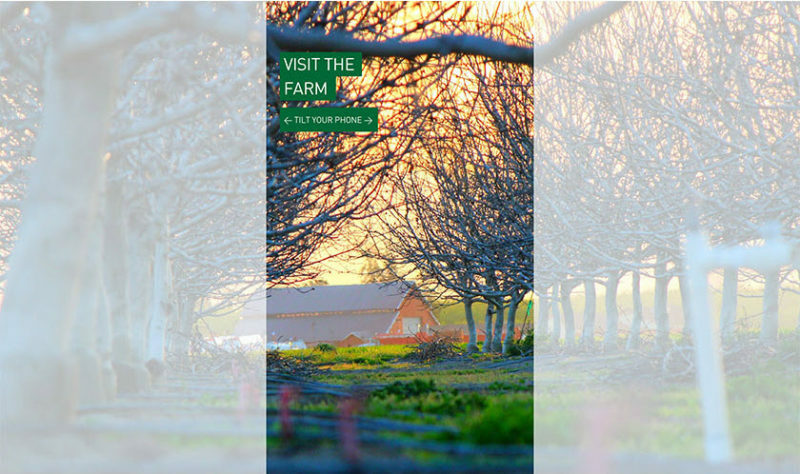 It’s no problem if you do use the image types that don’t allow the destination URL, as you can add in a button just below it to easily create a call-to-action link. 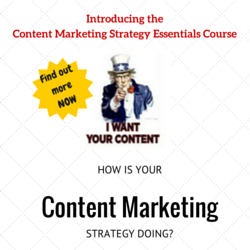 The text block can include up to 500 characters, so it’s a change to really engage your audience. Don’t just waffle on because you have enough space to. Carefully consider the text you use here and ensure it relates back to the ad objective, whether that’s promoting products or telling a story that reflects your brand. You’re limited to Serif or Sans Serif font, but you can choose your phone colour (#rrggbb colour codes), and can use bold, italic or underlined (on the entire block, not on specific words), as well as aligning left, right or centre. This is possibly one of the most influential components of the canvas, and is essential for website click / conversion ad campaigns because it’s your call-to-action. The font options are the same as above, and you can choose the colour and background colour of the button. There are up to 30 characters available for the button text. The carousel is possibly the most exciting component of canvas ads, because it’s such an advance on the traditional Facebook carousel ad we all know and love. The user can swipe through up to 10 images horizontally. 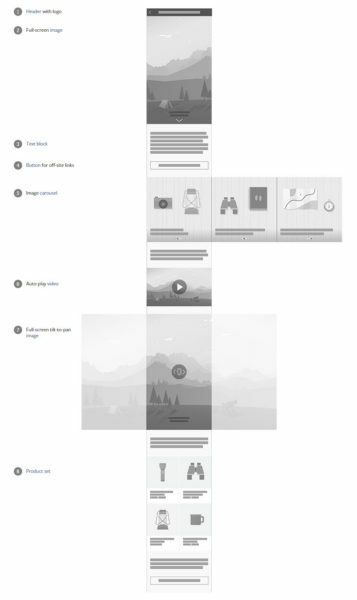 All images need to be the same size, and be no wider than 1,080px and no higher than 1,920px. The file must be .png or .jpg as usual. For an ecommerce client you could use this for a detailed ‘get the look’ style carousel, showcasing the item in lots of different lifestyle shots and detail shots. For a brand campaign this could be used to tell a story with images. Unlike standard carousel ads, the images don’t contain links, so they are there to engage the user within the ad rather than direct them to your website. Use the button element to add a link directing them to your website. The video component is really powerful, especially when used strategically alongside the other components. Choose a short video that’s going to engage the user for just long enough to keep them moving through the canvas. If your video is long, you may find people choose to click back out of your ad at this point, rather than click your call-to-action button and land on your site. In my experience videos which are 15 seconds or less do well in this ad format, and you can include as many videos as you like but their collective run time must not exceed 2 minutes. Ensure your videos have a resolution of at least 720p, and are ideally portrait, as landscape videos resize to be portrait and so end up with black gaps on the sides. The format should be .mp4 ir .mov. The product set component requires a product catalogue having been uploaded, in the same way that you’d upload one for dynamic product ads. You’ll also need to have implemented the Facebook pixel. This component dynamically pulls in the top performing products, rather than allowing the advertiser to choose the products shown. I have not tested this component yet, but I’d imagine that you could target it to be based on the products your audience have expressed an interest in, in the same way dynamic product ads are targeted. The next screen you see is where you create your Canvas ad. There are some components added by default, however you can remove them by clicking the little bin icon next to them. You can also add more components by clicking the +Add Components button at the bottom of the screen. You can re-order components by clicking the up and down arrows next to them. 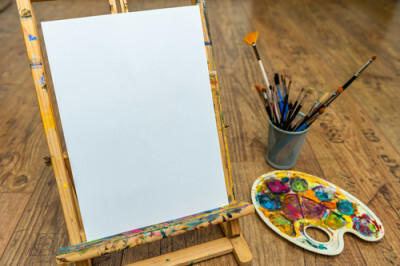 As there’s no set way to create a canvas ad because you can use as many or as few of the different elements as you like, and in any order, I haven’t included a step-by-step guide for setting them up, but the image above should show you the fundamentals and then you can get creative and start designing your canvas! Once your canvas is ready, click save draft, and then once you’re completely finished click finish. Clicking finish will mean that you can no longer edit the canvas because it generates a URL that is used for the ads. Next, click out of the canvas ad and go to Power Editor as you normally would to create an ad. Go to a website clicks ads campaign, and locate the ad set you want the ad to sit in (or create a new campaign / ad set), and make sure mobile news feed is selected as the only placement option. Next, create a new ad by clicking the +create advert button as normal. Fill in the text and headline fields as normal, as these will populate the ad as it looks before the user clicks into it to view the canvas. You can upload a thumbnail image which appears like a normal ad before the user clicks it to view the canvas. The thumbnail should be the usual 1200px x 628px in size, like a standard link click ad. Scroll down to the area that says destination, and choose canvas. You can then click into the box and choose the canvas you created. Post your changes live as normal, and your canvas ad will be live! To preview the ad, click the ‘view on mobile’ button after you’ve posted the changes, and a notification will get sent to your Facebook account when you view Facebook on your mobile. From that notification you can preview the ad on mobile which is how your audience will also see it. Canvas ads come with some additional metrics alongside the usual Facebook insights and stats. Similar to video, you can measure the ‘average duration of canvas viewed’. This is the average amount of milliseconds that your audience has viewed and interacted with your canvas ad for. This is an ideal metric to measure whether you’re catching your audience’s attention. Think of it like click through rate, but instead of clicking through to your website the user is clicking onto your ad and engaging with it within Facebook. The ‘average % of canvas viewed’ metric is the average amount of the canvas your audience swipe through. If you have lots of elements to your canvas, then average % of canvas viewed is obviously going to be lower than if you only have two or three. Have you tried canvas ads yet? Have you even seen canvas ads live in your newsfeed from other brands yet? Share your experiences below!